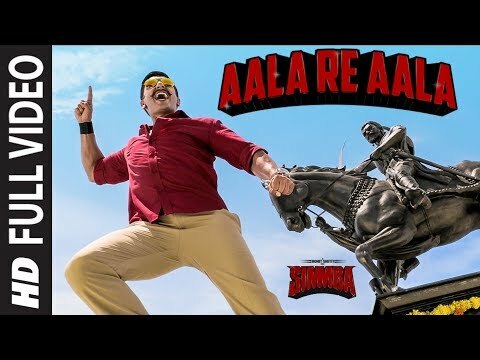 Presenting the full video song "Aala Re Aala" from the Bollywood Movie Simmba , The movie features Ranveer Singh, Sara Ali Khan, Sonu Sood along with Siddharth Jadhav, Ashutosh Rana in leading roles, This song is sung by "Dev Negi, Goldi, also composed by "Tanishk Bagchi" and the lyrics are penned by "Shabbir Ahmed". The Film is produced by Hiroo Johar, Rohit Shetty, Apoorva Mehta & Karan Johar. ♪ Chorus - Ryka Deshpande, Ayushi Pawar, Vaidehi Kusgaonkar, Ojas Juvekar, Sharvil Padte, Shakya Hatte and Chennai Sargam Choir.